Let's update information on your venues, locations or rooms. Your business can have a single location with multiple rooms, or it could be a multi-location business. Having up-to-date venues will help organize events on your calendar. 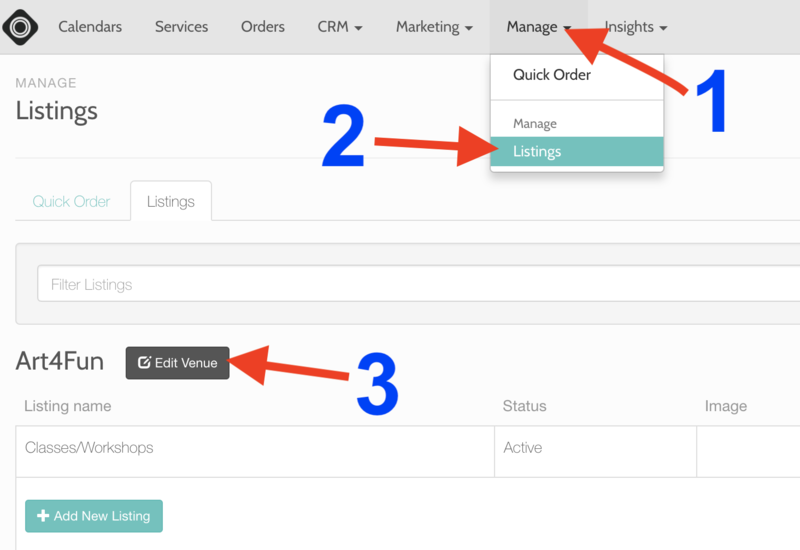 After logging into your Occasion account, click on "Manage" and then, select "Listings"
Below the search bar, you will at least one venue added by default. Click "Edit Venue" button in black. In the pop-up window, complete the information as best as you can. Make sure to "Save Changes". On the top-right corner of the page, click "Add New Venue" button.